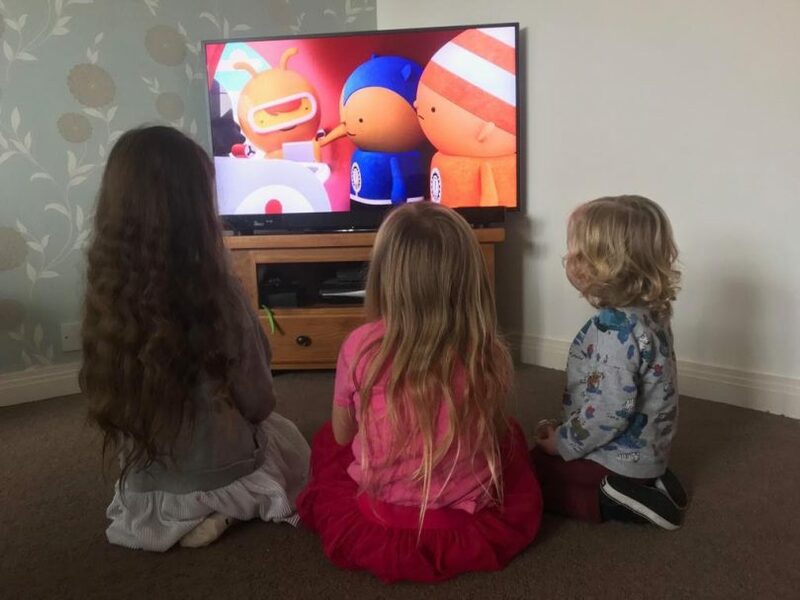 My three children have watched CBeebies since they were little. Bedtime pretty much consisted of In the Night Garden, a bath and then story time. Their programmes and characters have always had the ability to hold their attention. 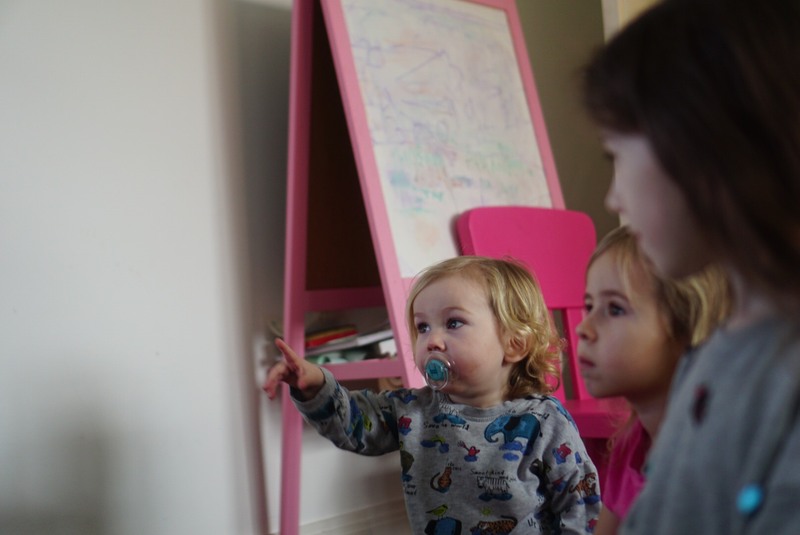 So when we got the opportunity to watch a few episodes of their new series Tinpo, I was intrigued to see what my three would think. It is based around the character Tinpo and his adventures with his team of inventors Doug-Po, Logi-Po and Hack-Po. Each episode covers a problem and the four creatives work together to come up with some problem solving solutions. 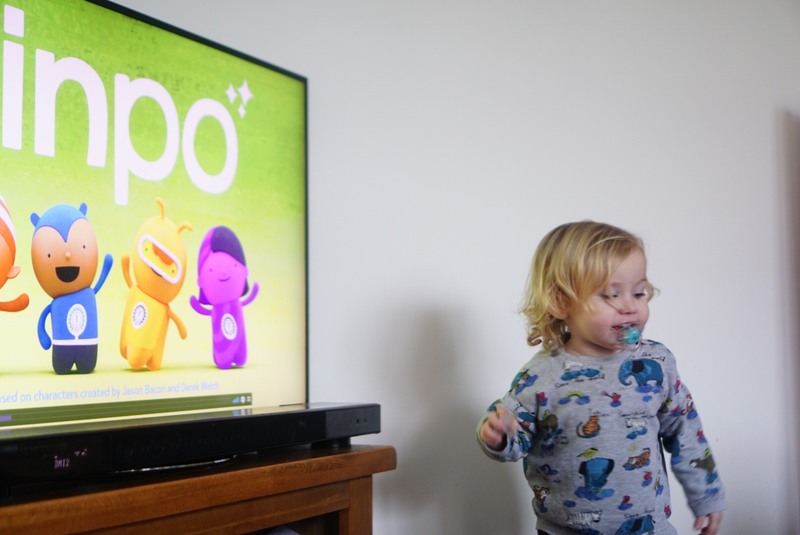 As soon as the programme started all three of my children were completely engaged, the introductory music is so fun and engaging my two year old Alfie was up dancing straight away. The programme is full of colour and shapes making it engaging from the start. Whilst it was a bit young for my 8 year old Meme, both my 5 year old and 2 year old enjoyed watching the characters come up with different ideas of how to fix all kinds of problems. One of the things I really enjoyed about the programme was the positive outlook that ran throughout. For example, in one episode it was raining heavy and Tinpo was stuck indoors. Instead of moaning he pondered how the plants were getting a good water. Such a great way to look at things and I wouldn’t be surprised if the next time it rains Harri makes a similar comment. Each time the inventors needed to fix a problem they tried different methods that didn’t always work. However, they never gave up, they just worked together as a team to think of other ways in which they could fix the problem. Throughout the episode I would talk to Harri (my 5 year old) and ask her if she thought the solution that the inventors came up with would work and if she could think of ideas that could help. This definitely got her thinking of ways in which she too could be an inventor, one of Tinpo’s team members! The programme definitely makes you think outside of the box. 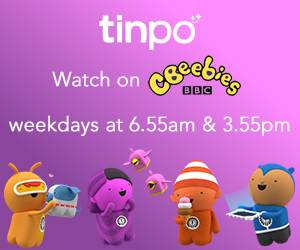 I loved everything about Tinpo, I feel that such programmes are strong learning aids that play an important role in a child’s growth. It raises questions for curious little minds getting them thinking about making positive changes. It’s also great for little imaginations, encouraging thought of problem solving solutions. Furthermore, it’s inspiring and helps you believe that small little changes can help improve the world we live in – which is very true!! This sounds like such a great show for little ones. I love how they make shows educational and fun these days! Sounds like a show Olivia would love, we will definitely be checking it out. The character names are always long or almost impossible to pronounce from the snippets ive seen from the likes of In The Night Garden, something simple to say would be good. That said, your three look very engrossed in what they are watching! Oh we haven’t heard of this but it looks fab? I think our days of Cbeebies are over now, sob…..mine are into Nick junior.